Hey there my dear beauties! How are you? We are always here to show you the latest fashion trends. For today I have something different, but I think that you will like it. My post is called “5 Ways to No Heat Curls”. Are you excited? If you have long straight hair and would like to make some changes, then you are on the right destination. Crimping and curling hair doesn’t take much time, if you know how to curl it right. These 5 hair tutorials that you will see below will teach you how to do wonderful waves, without damaging your hair. So, let’s check them out one by one and get inspired. Enjoy and have fun! This is one of the most popular hairstyle tutorials among fashion bloggers. If you style it well, you can go out with bandana hair crown. You can make marvelous curly hairstyle with bobby pins. 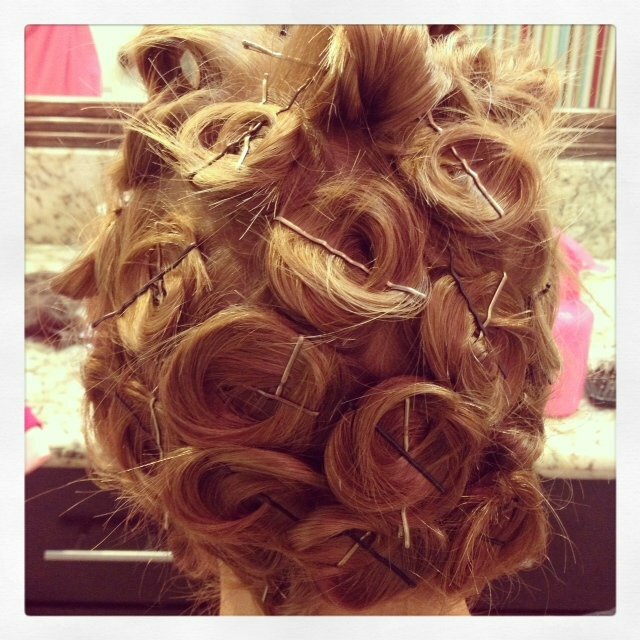 What you need to do is to find plenty of bobby pins, and secure every ball of the rolled up hair sections onto scalp. Part your hair into two sections and twist them from the root to all the way to the end of your hair. Make two crowns using bobby pins. Let your hair dry naturally overnight and in the morning unpin the ends. For this tutorial you will just need two pairs of socks. I advise you to try it our on dry hair. If you want an elegant, yet charming hairstyle, you should consider trying out the tutorial below. You will need a hairband and a hairpiece. For more chic and beautiful curls, I advise you to not comb your hair. I truly hope that you have found these hairstyles beautiful and charming, and you will try to curl your hair. I would love to know which hairstyle is your favorite, so please share your comments with me. If you have some other easy and quick to do hairstyle tutorials to show me, please share them as well – I would love to see everything you have to show me. Thank you for reading! Enjoy in the rest of your day and don’t forget to stay up to date with the content of Fashion Diva Design!